Don't Have An Account Yet? Click the Register button below. Government agencies and institutions utilize the General Services Administration's approved programs as a fast and effective vehicle to purchase directly from a broad range of approved vendors. GSA Schedules establish a long-term, government-wide contracts with commercial vendors for products and services with agreed discounts. Schedules are IDIQ (indefinite delivery - indefinite quantity) contracts used by entities to purchase goods during a predetermined time frame. Blanket Purchase Agreements are established by a customer with a GSA Schedule contractor to fill repetitive needs for supplies or services. 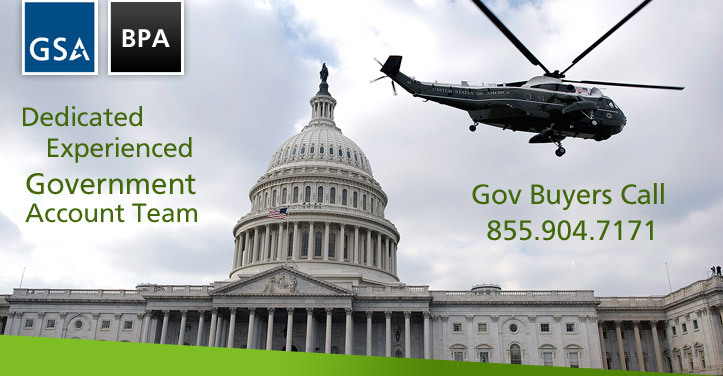 BPAs offer an excellent option for federal agencies and Schedule contractors alike. Contractual terms and conditions are contained in the contracts and are not to be re-negotiated. That way, BPAs eliminate such contracting and open market costs like searching for sources, preparing solicitations, or summarizing an acquisition. 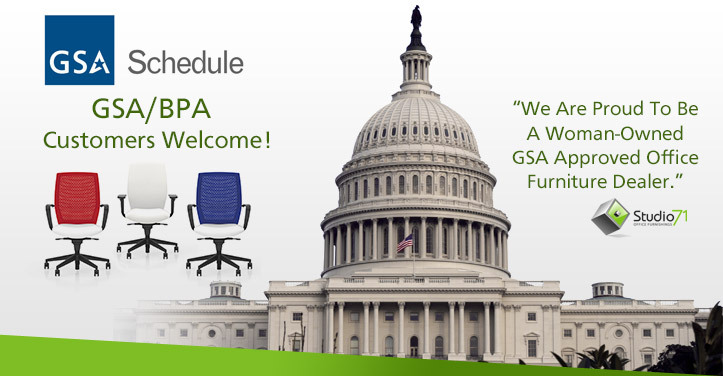 By working closely with major manufacturers, GSA/BPA contracts have changed the way government agencies buy GSA office furniture from approved suppliers. Whether your agency or entity needs seating, desks, conference tables, file & storage cabinets, bookcases or ergonomic accessories, Studio 71 offers buyers a variety of product choices to improve employee productivity and enhance the overall workplace. 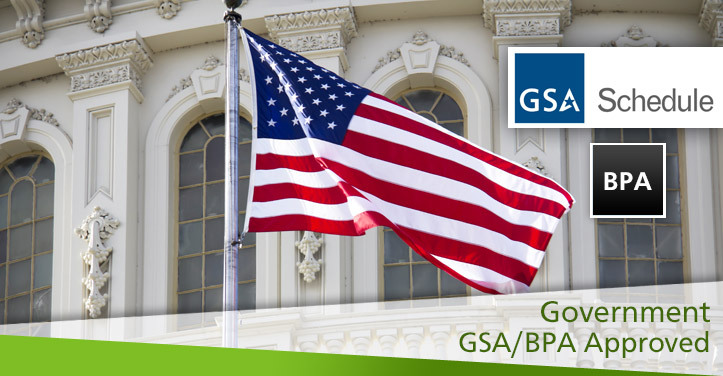 To learn more about specific GSA office products or to find the best solution for your workspace, call toll free at 1-855-904-7171 to speak with an experience GSA/BPA products specialist.